Welcome to an Andrew's Shed page! 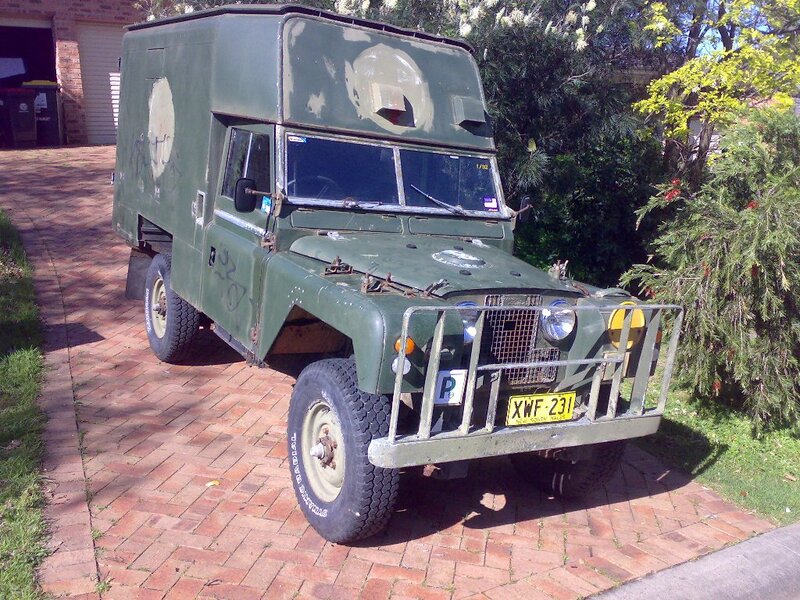 Andrew came across Ambrose in September 2008 on AULRO.com, after the previous owner had decided that the time had come to put the old Landy on the market. Andrew is the 3rd civilian owner, and as an avid Land Rover enthusiast he had been particularly interested in Ex-Military Ambulances for some time. 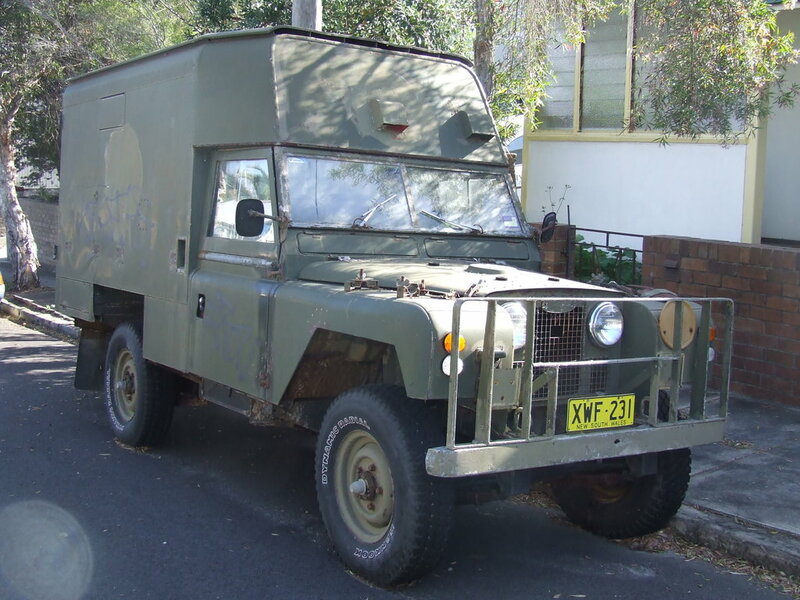 Like all Land Rovers, and military examples in particular, Ambrose has a story all of his own. In this case, the story starts 23 years before the owner was even born! Commissioned into service in November of 1965, Ambrose was the first vehicle in Contract 115102 / Census 6362B. In nearly 27 years of military service, it appears that Ambrose had a fairly sedate career, with his lack of exposure to the action evident in his good overall condition. Original records show that when he was 'discharged' at auction on 25 February 1992, the Odometer was indicating 23,305. For $3,200 Ambrose was bought by a gentleman from Sydney. Unfortunately three years later, the man passed away, and Ambrose was left to his daughter Leonie. 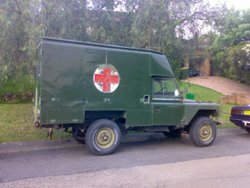 In 2003, Ambrose was pressed into active service once again to take Leonie and her partner on a driving holiday through rural NSW and parts of Victoria. In preparation for the expedition, a major service and inspection was done on the vehicle, and many parts were renewed. Ambrose was also given civilian registration for the first time. At some stage of the trip, the original carburettor died and was replaced with a new Weber, but other than that he performed admirably, albeit at the usual ambling pace of an old Land Rover! After the trip, Ambrose once again took to resting gracefully outside Leonie's house, where unfortunately some of the local hoodlums decided that his large, slab-like features were an inviting surface for graffiti, and they also scratched their 'tags' into some of his windows. In September 2008, Leonie (now with a young daughter) decided that it was finally time for Ambrose to go to another home, where he would get more use and be removed from the clutches of the local vandals. 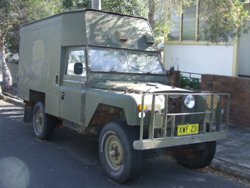 With such a sentimental attachment to the old bloodbox, Leonie was keen to make sure Ambrose was adopted by someone who could truly appreciate him for what he was, and as such she made contact with a number of people in the military vehicle scene via a friend. As the grapevine goes, one person told another and before long word had made it's way to the REMLR forums on AULRO. After literally running to the phone, Andrew had soon arranged to meet with Leonie that very night and take a look at Ambrose. 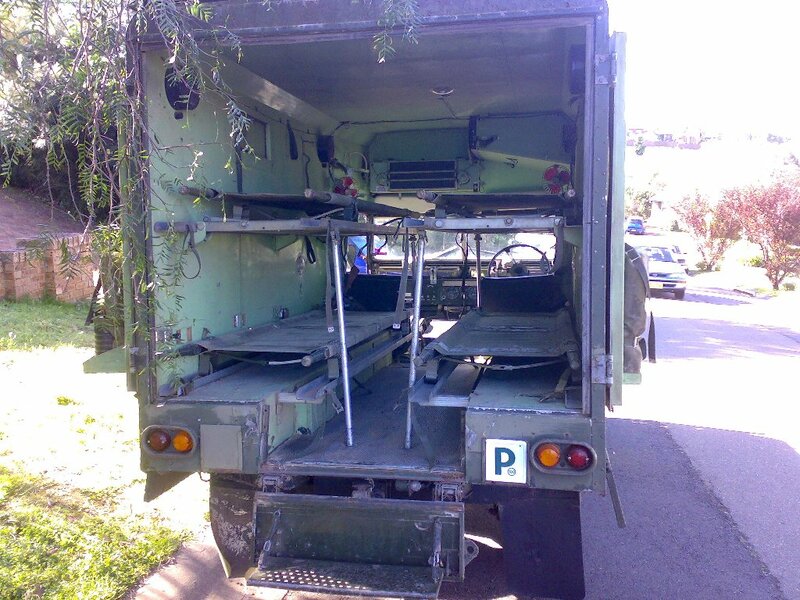 Andrew was able to confirm that almost all original equipment was still in place, and that Ambrose was fairly rust-free apart from some rot in the drivers doortop and mudguard, left dumbiron and along the top of the windscreen. A few days later, Leonie accepted Andrew's offer and Ambrose went off to his new home. 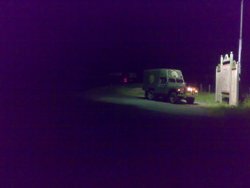 True to form, the event was struck by a visit from "Lucas - the prince of darkness" with a new battery being required. No sooner had one been installed, when one of the headlights blew! The day after collecting Ambrose, Andrew was due to go to Singleton. 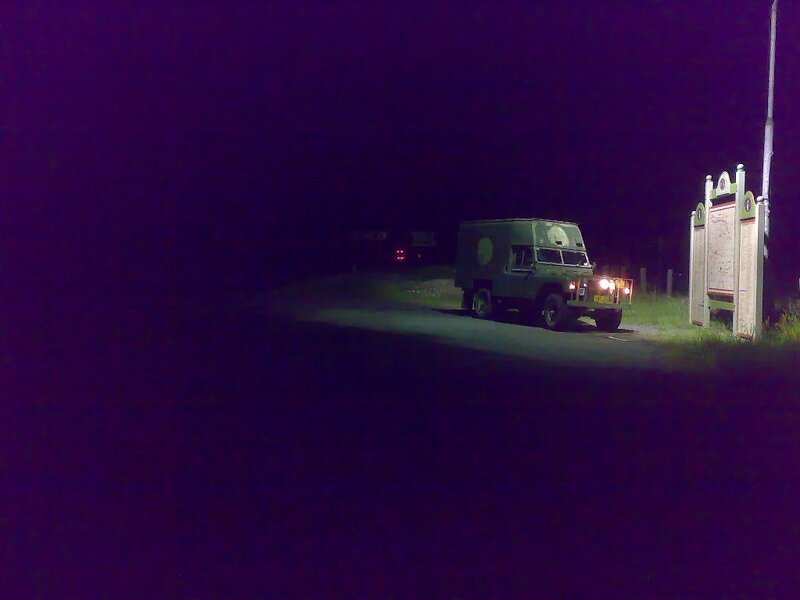 As he was so impressed with how Ambrose went, Andrew decided that instead of catching the train as planned, he would make the three hour journey in the old Landy! The trip cemented the bond between man and machine, and Ambrose sat on 55mp/h all the way without complaint on the right hand tank - only giving grief in the form of a fuel line blockage after being started on the left hand tank, which hadn't been used in some time. 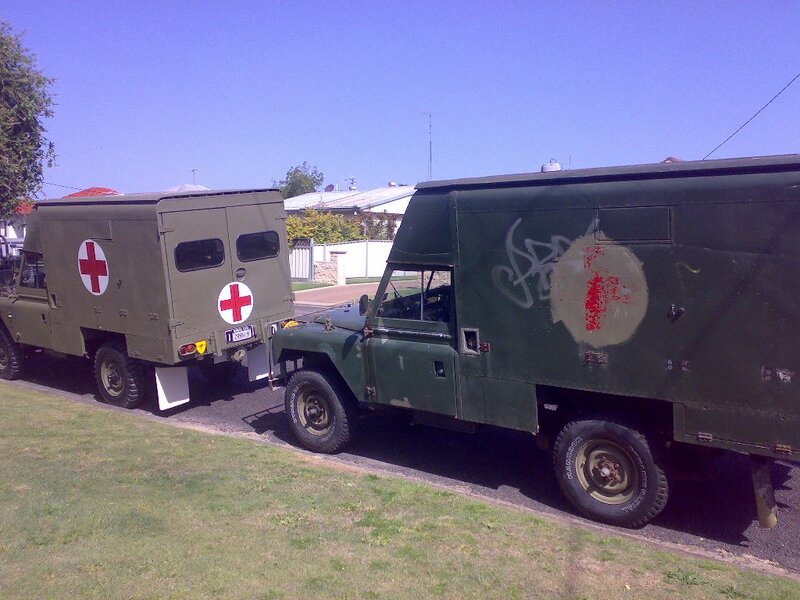 On the way home, Andrew passed through Cessnock, dropping in on fellow REMLR member Dennis for a photo opportunity with his restored bloodbox "Dianne-May". So far, Andrew has set to work on the long task of bringing Ambrose back to his former military glory. Much to the disgust of Andrew's better half, first to go was the modern CD player. A good scrub with a stiff broom and a pressure washer gave immediate results, with the top layer of flaky, faded Olive Drab paintwork literally scrubbing off! Underneath, the original Deep Bronze Green livery was revealed, and over the next few months Andrew, armed with wet and dry and a rotary buffer, cut back all the old paint until the original colour was exposed. A good polish then had the paintwork gleaming as only Deep Bronze Green can! 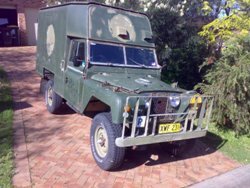 Andrew has carried out a rolling restoration on Ambrose, and had him ready in time for the annual NRMA Motorfest on Australia Day 2008. There are still minor things to tidy up, but Ambrose is very much presentable and Andrew takes him to every show he can get to.